All grass seed isn’t created equal. There are many different species of grass, some of which are better at fighting off weeds than others. Plus, grass seed in Georgetown needs to be hardy for our cold climate. Grass seed stands a little chance of germinating on its own. Instead, it needs fertilizer, preferably one high in organic matter, as well as proper watering to stand a chance. Weed-A-Way’s Seed & Feed mix contains a lot of organic ingredients, high quality nutrients, hardy grass seed and bonding agents to help your grass germinate faster and grow healthier. It creates the perfect micro-climate for grass, right on your lawn. We also only use industry standard feeders for seed applications, so we can achieve the perfect spread every time. Bare patches: If you don’t fill in these patches with grass, nature will fill it in with weeds. Yellowing: If your grass is yellowing something has damaged it. You’ll need to fix the underlying problem and sow fresh grass seed to help your lawn recover. Weed growth: Sometimes weed growth doesn’t respond to weed control treatments. Instead, you need a more vigorous type of grass to prevent weeds from growing. Pests: Grubs, bugs, and even mushrooms will damage your mature grass, especially if the grass species isn’t disease-resistant. Old growth: Grass, like any plant, gets less vigorous as it gets older. Older grass will be more prone to damage, bald spots, and eventually won’t be able to fight off weeds. By reseeding, you can have a more vibrant and healthy lawn. Sod is an expensive investment, and it’s not the only way to get a brand-new lawn. You can make a lawn from scratch with our Seed & Feed mix. It germinates quickly and has the nutrients and organic matter to develop into a thick, pure lawn, at a fraction of the cost. 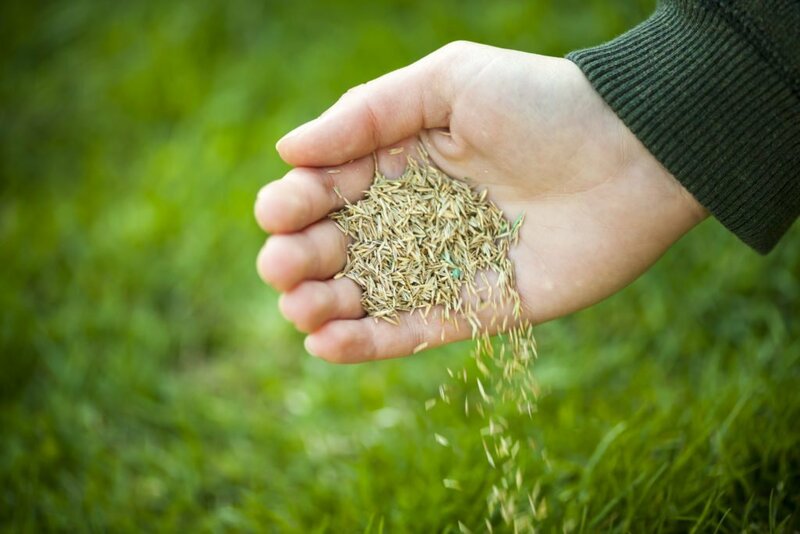 Contact us at Weed-A-Way for high quality grass seed in Georgetown to get a healthy, vibrant lawn.